A pair of Alberta teenagers have started a new team math contest for for junior high school students, to encourage other kids to enjoy learning math. A pair of Alberta teenagers have started a new team math contest for junior high school students, to encourage other kids to enjoy learning math. Riri Jiang, 16, and RunLin Wang, 17, co-created the Alberta Team Math Attack, a new group that holds math competitions in Calgary and Edmonton. 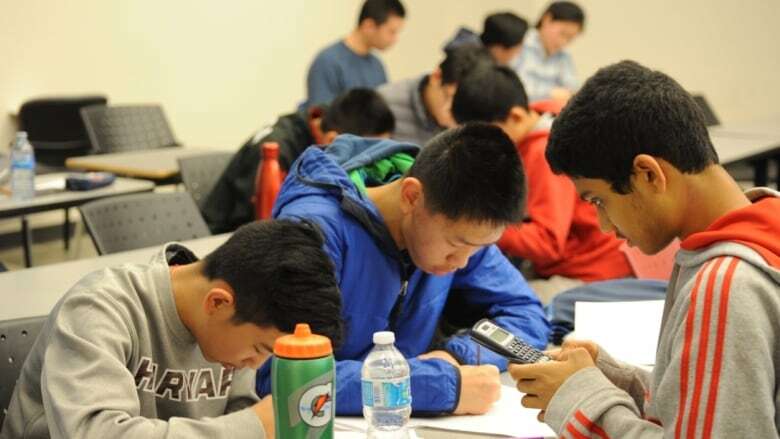 "There is all of this stress associated with a math contest, so we wanted to create a more engaging environment," Wang told CBC's Radio Active on Friday. The two are hosting a competition on Saturday at the University of Alberta, where 200 students are expected to participate. At the event, junior high students will be asked to solve problems in groups of two or three. In traditional math competitions, students are judged individually. Jiang said some people find that format intimidating. "The idea of sitting down and just being by yourself and taking a math contest, for two and sometimes up to six hours, is very scary for some people," she said. 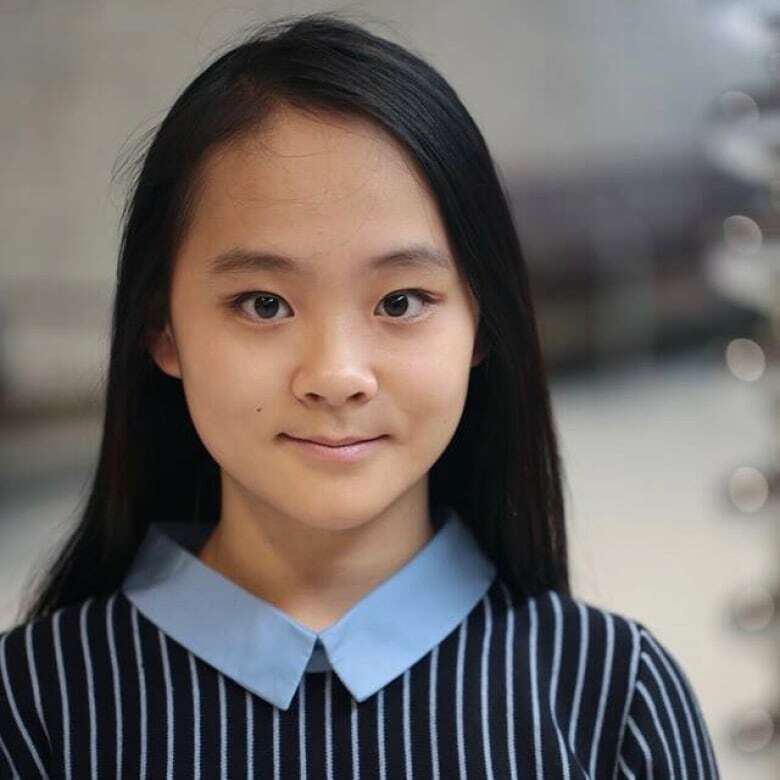 Jiang, a Grade 11 student in Calgary, started an Edmonton group math competition as a junior high student in 2017, when her family moved to the city for the year. "I thought that with people around you — working with you and talking to you — and eating snacks and just generally having fun, it would generally be a lot more fun for everyone overall," Jiang said. She said she also wanted to encourage more girls to get involved. "When I was I younger and I did math competitions. I looked around me in the competition room and I saw boys everywhere," she said, "I thought, 'this does not look right, because I love math, I'm a girl.' I didn't understand why so many girls were so afraid, or unmotivated to try out math. I think it's because of a stereotype. "With the team-based focus I thought we could get more girls at least to try with their friends for the first time." Wang started the Calgary Team Math Attack in 2017, around the same time Jiang started the Edmonton competition, along with another friend. In June, the two decided to combine the two groups and make the Team Math Attack a province-wide initiative. Sean Graves, a mathematics and statistical sciences lecturer at the University of Alberta, helped the students organize the event in Edmonton. Graves said the competition is a great way to show students that they can work together to improve their math skills. "Mathematics doesn't have to be just a solo event, it's a very social thing," he said, "In our math department, we have people collaborating all the time." "With people of all ages, some people find math intimidating," said Graves. "It's really lovely to work with young kids who really enjoy the subject."